With over 25 years of experience, we can assure you the finest quality molds – whether injection, compression or transfer – for production in plastic or rubber. Our modern tool room features NC and CNC equipment and Electrical Discharge Machines (EDM), allowing creation of the simplest to the most complex mold. A product is seldom better than its mold, and each mold reflects not only the dedication of our highly skilled mold makers, but also the commitment of our company as a whole, to go the extra mile – or two, or whatever it takes – to give you the best product available anywhere. We can offer mold guarantees and supply continual mold maintenance for our customers. 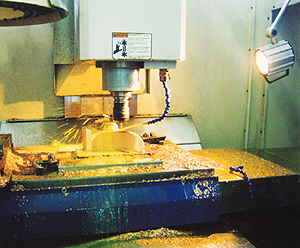 Our molds are made using steel or aluminum and can produce single or multiple parts. Our resources for mold makers are all highly qualified and have proven performance records.